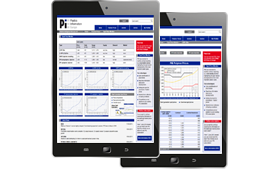 PIE offers 100 different polymers, feedstocks and indices for your individual price analyses. Unless otherwise stated, the data refer to the average price based on western European contracts. The prices are based on information obtained from processors, distributors, traders and producers. PIE’s offer also includes the “Plastixx” polymer price index, illustrating the price development of plastics in western Europe. While the Plastixx index contains the most important thermoplastics, “Plastixx ST” represents the price development of standard thermoplastics, while “Plastixx TT” focuses on engineering thermoplastics. In addition, six “A-Plastixx” indices show the price development of a specific group of plastics predominantly used in a particular market segment, including packaging, construction, automotive and E&E. How are PIE’s polymer prices generated? Prices are based on information obtained by PIE from plastics converters, distributors, traders and producers. They are the outcome of an online survey (panel) and complemented and weighted by detailed telephone interviews. PIE boasts the plastics industry’s largest network of contacts. More than 600 regular panel participants in Europe ensure that our coverage is close to the market beat.